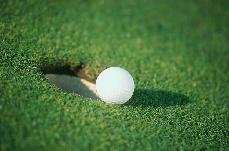 Golf vacation packages have become a popular way to coordinate your travel plans and your exotic golf adventure. The convenience of booking a preselected or custom made golf vacation in one place saves significant time and energy. Golf enthusiasts put our travel packages together. There is no need for you to do extensive research. Why reinvent the wheel. VoyageMonkey has done it for you. VoyageMonkey Golf Vacations offers tee times at some of the best golf courses in the world. Play a round in top destinations such as Hawaii, Palm Springs, Florida, Scotland or Spain. Top resorts and hotels are available so bring the entire family. Great for office getaways and team building! Book your tee times online. A travel vacation for the entire family. Golf and enjoy your destination. If you love golf and travel, don't wait. You owe it to yourself and deserve it! Happy golfing! Visit our VoyageMonkey Blog at VoyageMonkey Blog.